As the US population evolves and diversifies, it’s vital that insurance agencies follow suit, according to John Tiene, chief executive officer at the Agency Network Exchange (ANE) – a network of more than 70 independently-owned and operated agencies across the Mid-Atlantic states. 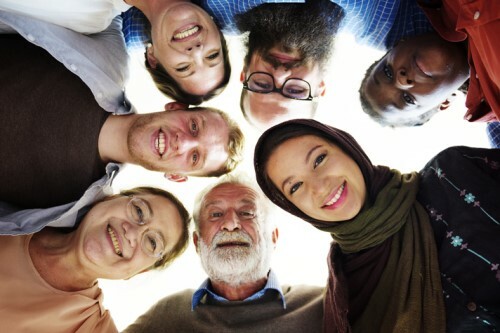 The growing network, which added 17 new agencies in Pennsylvania and New Jersey in 2018, celebrates diversity by bringing together agencies of all types and sizes, including a number of ethnic and culturally-focused agencies as well as some women-owned businesses. At the same time, the population of the US is becoming dramatically more diverse, according to Tiene. As an example, he asked: How does an agent who might not have a large population of Spanish-speaking clients evolve in response to the reality that the segment of the US population with Spanish as a first or second language is increasing? Agents need to find ways to respond to some of these societal changes. “We’ve got agents in our group that are already dealing with [demographic trends like] that, and they’re able to share their experiences through leader-to-leader workshops and other mechanisms we’ve put in place. [They] help other agents understand [the issues], and, interestingly, they provide support,” Tiene told Insurance Business. As the US population demographic changes, so too does the make-up of the agency distribution channel. Market consolidation is rife, meaning smaller independent agencies are being snapped up by larger firms and private equity players. Tiene has also noticed a trend of new agencies being set up with younger owners using their fresh skillsets to start agencies from scratch.